Welcome to the January 2018 Bible Reading Week 1 Summary! 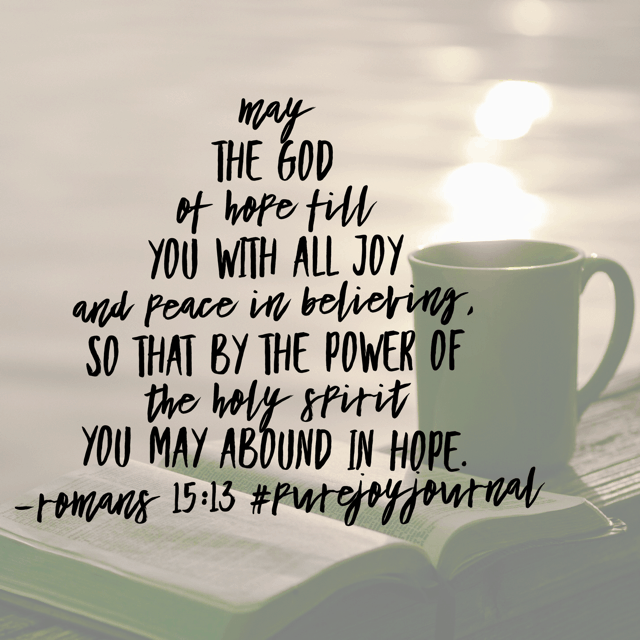 What a great beginning we’ve experienced in the Pure Joy Bible reading plan. Many readers have mentioned your one word for 2018 is “joy” and I just love how the Lord is working through this study to encourage your hearts. Also, the Facebook group is moving and grooving. I plan to post a live video in the group each week and fresh content is being shared each day. Why do I post this review each week? So that we can retain what we’ve learned! 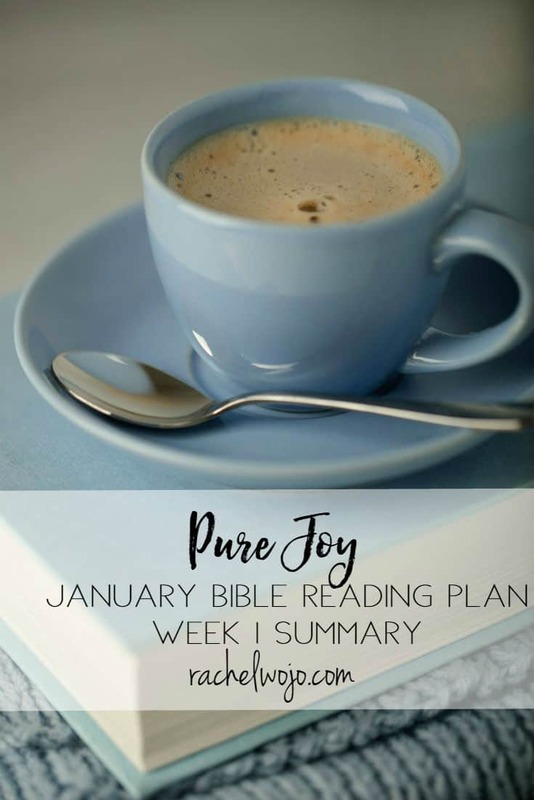 Let’s check out week 1 of Pure Joy Bible reading plan. Discovering joy doesn’t have to be elusive. When we focus on who God is and what Jesus has done for us, then joy can easily be ours, no matter the circumstances! 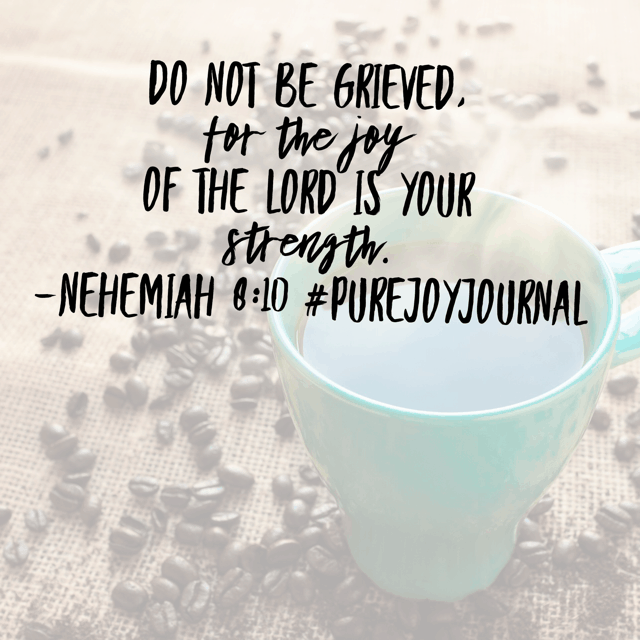 Savor Day 1 of the #purejoyjournal and #biblereadingplan ! Have you started to look ahead and feel like there is just no way you’ll make it? It’s too hard and you just want to ball up and cry? 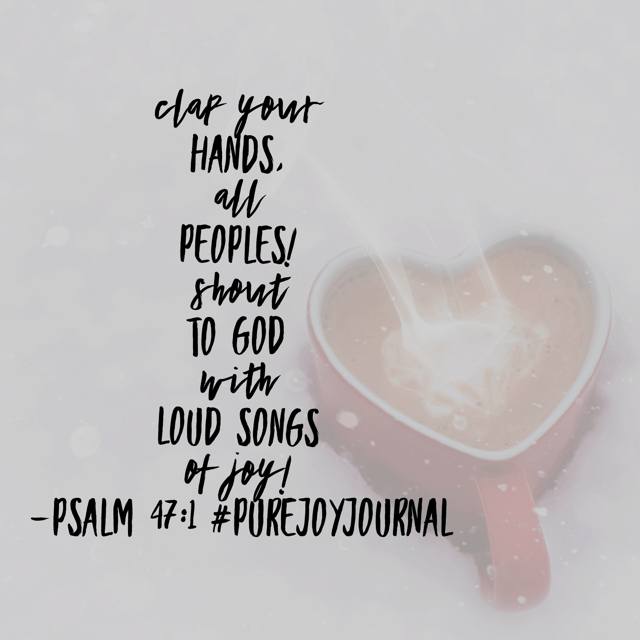 God’s people felt the same way in our #purejoyjournal #biblereadingplan passage. Nehemiah’s word to them is today’s #bibleverse ! The joy of knowing God intimately fuels your heart, soul, and mind. Need more strength in your life? 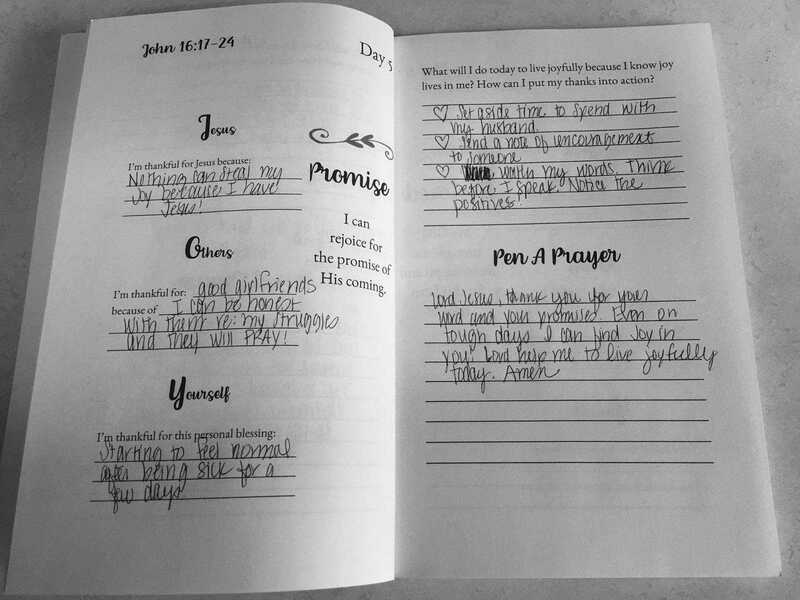 Get to know God more! Hope your Thursday is thriving! It’s amazing how a little time with Jesus can change your perspective! 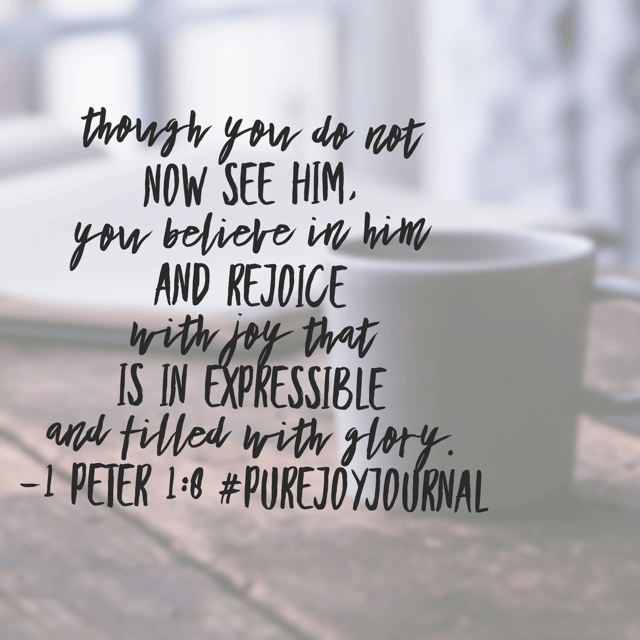 What are you enjoying most about the Pure Joy Bible Reading Challenge? What a wonderful start to the first days of the Scripture reading focused on Pure Joy! I’m anticipating the upcoming week on this journey of cultivating a happy heart. I hope you are too! I don’t know what I am going through right now, but I am losing all of my faith. I’m doubting God, the Bible and seriously questioning that the bible is made up or just a fantasy story. I am sorry that you are feeling this way. My prayer is that the Lord will make himself known to you and you will recognize him. He is with you!! Through all! This past week has been a roller coaster, and it’s been hard to hold joy at times. I’ve been using these challenges as daily scripture writing, and when I went to do the writing on Saturday, the second half of Psalm 30:5 stuck out to me. 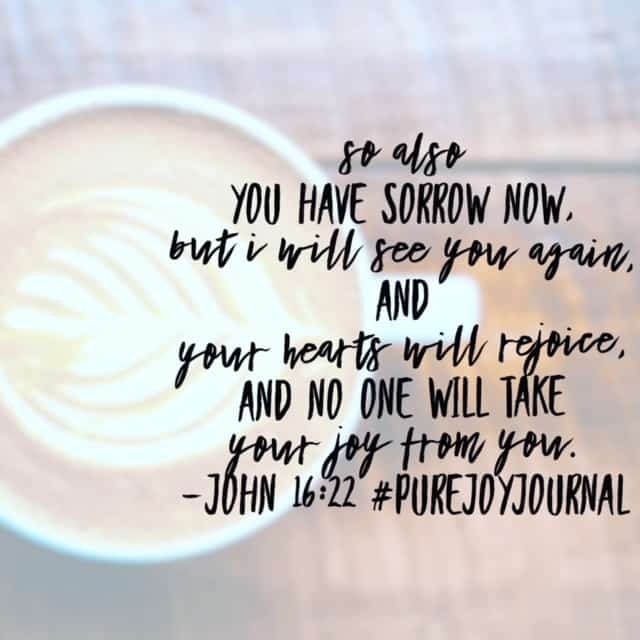 “Weeping may come for a night, but joy comes in the morning.” I sent that to a friend who has also struggled this week. Sunday, on the way to church, I was randomly going through twitter and saw what my cousin had posted. It referenced that verse. I went to teach Sunday school, and the lesson was on Paul and Silas and how they didn’t let their present circumstances (being locked in prison) overcome their emotions. They still worshiped God with joy in singing and praise. Needless to say, that verse has convicted and comforted me these past few days. I love how God works in our lives just like this! !